The early adopter project is part of the national Closing the gap: test and learn programme, which is testing school and classroom approaches to improving pupil attainment. One aim of the overall programme is to develop teachers’ skills in rigorous quantitative research methods. The success of this project demonstrates a tangible shift in schools’ ability to undertake their own micro-enquiry projects in a rigorous and professional way. Also attending was Steve Higgins, Professor of Education at Durham University, who was involved in the design of large-scale trials for the programme. We asked Steve to give his impressions of the project so far. I’ve been impressed with the calibre of the design and the quality of the analysis and I know that is something that has particularly structured this project, but I think it makes it unique in the way the findings can be drawn together. So there’ll be lots of other examples of action research or teacher enquiry on research application, but they’ve not generated findings in a form where they could be compared with each other. So that is unique in what we have seen today. The other thing that struck me, that we perhaps miss in the large-scale lessons, is the subject knowledge that the teachers engaged in their enquiries have. When we generalise across studies, we generalise across contexts and the specificity of that subject knowledge is missed. So when I’ve had conversations today, everyone’s been able to talk with a level of really knowledgeable detail about the content of what they were teaching, and I think perhaps we sometimes miss that in the larger-scale research studies - we miss that depth of subject knowledge. The other thing is the level of enthusiasm and ownership, you can’t miss that, the teachers are so enthusiastic about what they’ve done, even where they’ve got no results or even negative results, they are aware that they’ve learnt a valuable lesson that informs their practice and increases the choices that they can make subsequently. That sense of pride and achievement, and also seeing what everyone else has done, you can see that sparking further ideas. So it’s almost infectious, in terms of “I could try that” or “you could do this”. Or they’ve looked at a project’s milestones and thought “I can combine that with what I’ve done and we can test it this way”. Probably the most important finding is that there is capacity within the system for teachers to do rigorous, small-scale enquiries that identify whether or not approach A is better than approach B. That’s really empowering – if we’re going to move towards a school-led system, that part of the ecology needs to be there. It still needs larger-scale studies and other kinds of research, but schools definitely need micro-level enquiry to test what they think is going to be effective and make sure it actually is. What’s next? What does the future hold? I think it would be interesting to take some of these ideas and see what directions they can be developed in, because there is obviously room within the schools to roll out the strategy as a general approach to micro-enquiry, and develop a greater number of teachers’ skills. I’m not sure we necessarily want all teachers to be able to do that – where we’ve got some examples of things that look like they are potentially successful, other schools might not be up for generating those ideas, but they might be up for testing them in another context because they think they are worthwhile. It’s going to need several more attempts like this to build and develop capacity and perhaps different variants of micro-enquiry combined with larger-scale enquiry that will lead to a more teacher-led, school-led system. I like micro-enquiry and today has just confirmed all that. The teachers taking control, taking responsibility, empowering them to make more complex and sophisticated professional decisions within their context is what we’re trying to do. 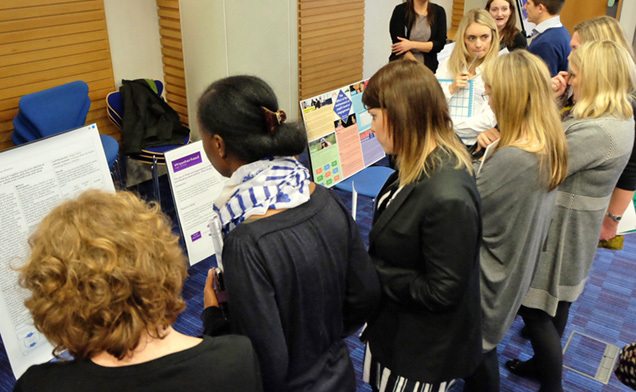 The research report containing evidence obtained from these micro-enquiry projects, and the wider test and learn programme, is now available to view. In the examples below some of the school leaders involved in the research talked to us about their projects. Vanessa McManus from Gatley Teaching School explained how they developed the use of RCT with teachers across their alliance. Initially, I was transferring what I had learnt from these [Closing the gap: test and learn project] training sessions into staff training sessions, and saying: “just go out and have a go at an RCT”. It got them designing, but there wasn’t a heavy emphasis on them, it was just building their confidence. Then we moved more towards using it as part of our appraisal because it is a lovely, measurable approach isn’t it? There was an expectation on staff to conduct a piece of research themselves, a randomised controlled trial. How do staff feel about it? Very hesitant at first, as anyone would when you drop an RCT on them and say “this is a really great way of finding something out to improve your teaching!” They couldn’t believe it at first, they were really hesitant, but then they are primary teachers and there’s a little bit of a scientist in all of them. And that started kicking in and they got more and more interested – they liked the structure of it, they actually liked the boundaries and following the procedure and I think they took comfort from that. It was a very steep learning curve for them and the same for the other heads and the research leads that we’ve got in the other schools in the alliance. It was getting them out of that mindset of “you can’t choose children at random in education” and into the one that actually you can, and this is why you should, and going through the whole reasoning process that - long term - it does have an impact on the children, so it was a big shift in mindset. Jonathan Gunzi from Bentley Wood High School, lead school for Harrow Collegiate TSA, spoke about their research into growth mindsets and co-teaching. James Siddle from St Margaret’s Primary School in the Kyra TSA, explained his project evaluating the impact of giving feedback via tablet. Charlotte Morris from Willoughton Primary School in the Kyra TSA, described her work to test the effectiveness of her active spelling strategy with other techniques.